Horizon Plaza (Horizon Centre) in association with The Piano Man Events and Artist Management Company (T.E.A.M) is excited and proud to announce a brand new event series that takes place in Gurugram and is open for all. Horizons of Music, a musical property brought to you by Horizon Plaza in association with T.E.A.M, aims to create a hub for culture to encourage wider musical appreciation and bring incredible artistic experiences to Gurugram. This Friday evening, taking over the stage will be BollyJazz. In a time where Indian film music has been remixed to club beats, Red mawkin productions re-presents Bollyjazz. An approach to playing classic film tunes through jazz rhythm and harmony formats keeping the melodies intact. 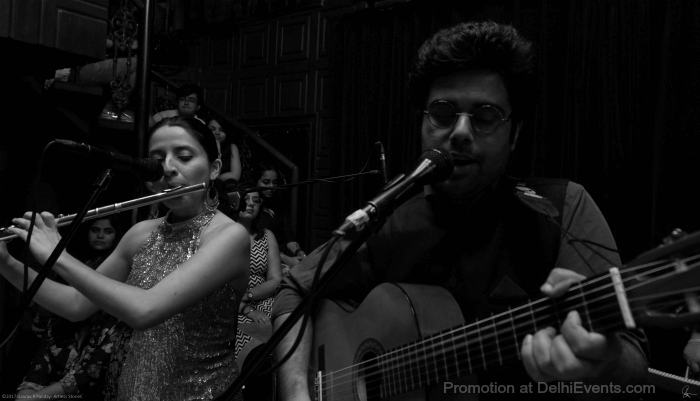 A concept of bringing musicians in collaboration to play music from the Indian cinema. Bollyjazz may discover for you - Re-arranged and re-interpreted by Red Mawkin, the music is performed by featuring various magnificent artists who bring a profound smell of depth out to the surface through their respective instruments for the avid listeners. The vocals maintaining justice to Indian style while approaching it with the powerhouse of R’n’B/Jazz approach. With guitar players from well-known jazz backgrounds, playful and surprising effects of drumming by seasoned musicians from the scene with the right touch of the bass garnishing it to the best. Born from The Piano Man family, which has brought brands such as The Piano Man Jazz Club and Dirty Apron to the city, T.E.A.M. is a market leader in performance curation, ethics and support for the arts and entertainment industry. Having brought to life over 1000 shows in the last 3 years alone, including the curation of the celebrated Giants of Jazz festival, T.E.A.M. is taking incredible experiences beyond The Piano Man Jazz Club and providing one-stop shop for curation, planning, marketing and execution of your events. Home to Fortune 500 companies, concept restaurants and luxury residences, Horizon Plaza is a premium dining destination in NCR, in which the key is exclusivity. By virtue of its offering of eclectic cuisine and niche programming, this is the place to be.